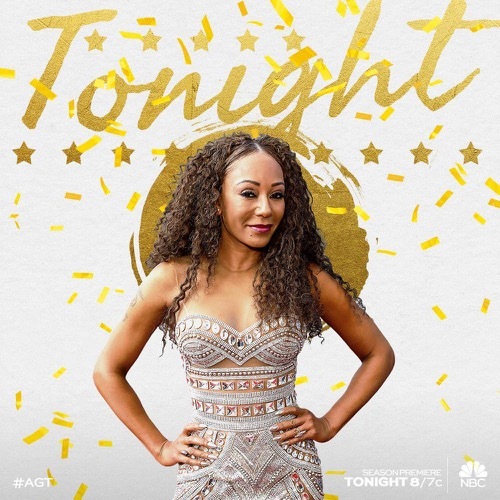 America’s Got Talent is back for season 13. Host Tyra Banks is back for her second season. All four judges are Mel B., Simon Cowell, Heidi Klum and Howie Mandel. The first act is a mother and daughter duo, Svetlana and Marina, who train cats. The cats attempt tricks that we usually see dogs do. They jumped through hoops, rolled on cylinders, hopped one over the other and balanced on beams. The judges give the cats and their trainers a resounding yes. The next act is a magician named Shin. He asks Tyra pick a card from a deck, she picks the queen of spades, she writes her name on the card. He puts the card into the deck and glides his palm over it and raises it from the middle to the top and then we see the card imprinted on his chest. The tricks go on and on with the queen of spades. Howie says that by leaps and bounds it was the best slight of hand magic that he has ever seen. Mel B. thought it was unbelievable. Simon said he had it with card magic, but not now, this was unbelievable. Shin gets four big yes votes. Ian Brown lives in South Carolina but is from Scotland. He tells the judges that he is not there to perform, he wants to be a judge. He doesn’t have experience of being on TV but he feels that he knows talent. He says that even though Howie is a professional comedian he thinks he could do a better job. Ian takes Howie’s seat to judge the next act. The act is a musician and his name is Mike who performs America the Beautiful by making farting noises with his hands, All four judges give him an X. Ian tells him that it was very disappointing. Simon fires Ian, tells he to leave and Howie takes back his seat. We Three is a bad made up of three siblings; Joshua, Manny and Bethany. They are going to sing an original song about their mother who passed away from cancer. They are performing with a keyboard, drums and a guitar. All the judges seem genuinely touched by the groups singing. The audience and the judges give them a standing ovation, their dad looks on with tears in his eyes. Mel B says she lost her dad a year ago from cancer and she felt this song. Heidi loved their voices and the harmony. Howie thought it was so strong, he felt it. Simon says he struggles with live bands, but this worked, there was something special about them. Four Yes votes from the judges. Fontane Umane is a group of four guy friends who love to perform and they have chosen to do comedy act to My Heart Will Go On. The four spit water out of their mouths, over their heads and to each other in a sort of comedic way. Simon his the X pretty quickly but the rest of the judges and the audience is enjoying themselves. Mel B thinks it was brilliant and along with the audience gives them a standing ovation. Simon was not impressed, he says it was awful. Heidi loved it and Howie thinks it was amazing. They get three Yes votes, only one No from Simon so they get to advance. Junior New System is a group from the Philippines, they come for a poor upbringing and managed to save money to come to America and perform on the show in the hopes of winning and providing for their families. The routine is hip hop filled with acrobatics, gold glitter high heels and lots of energy. All four judges are standing up, the crowd is cheering. Mel B loved it. Howie says it was amazing, he loved the emotion and say they are the epitome of dreams coming true. Heidi loved the music and the dancing. Simon says the second half of the act blew the audience away. All four judges give Yes votes. FLAUJAE is from Savanah, Georgia and she is a 14 year old rapper. She says her father was a rapper and he died at the age of 20 before she was born. She is performing a song that she wrote about her father dying and how it affected both she and her mother. All four judges are standing up. Mel B says she is so on point and she loves her. Heidi says it is a crazy world and is happy she sang her song for other children. Howie says they are ready for her and they need her. Simon says is witnessing the start of a big career and she is the favorite audition so far. Simon asks to meet her mom. All four judges give a Yes vote. Vicki Barbolak is a comedian who comes one stage and says she is a ballerina. She is funny, she uses her sarcastic humor to make fun at herself and life. Mel B, Howie and the audience stand up. Vicki is overwhelmed and starts to cry. Mel B says all she wants to do is laugh. Heidi loved it. Howie says that there is this huge void for female comics since Joan Rivers is no longer with us and she is filling it. Simon thinks she is one of the funniest people ever. All four judges give her a Yes vote. The next act is James who says he is going to transform into a witch who is 748 years old. He found a mask at an antique store years ago and he knows it is actively possessed, the spirit of Isabel, the queen of France in 1885 at the age of 15. He opens a chest and takes out a mask, he comes back on to the stage with a mask on waving his arms about. He says he put a spell of creativity into the audience. He gets four No votes. Now we get to see some creepy clowns followed by The Sacred Riana dressed like a doll that she is carrying. The girl is creepy, she keeps shaking her head. She goes down to the judges and really creeps them out. She goes up to Mel B. and shows her newspaper clipping about story; 12 people died in building blaze, suicide victim to blame. The girl spreads photos of the 12 people on the table and tells Mel B. to choose which one did it. Mel B. chooses Bob and when the girl folds down the paper, Bob is the one who did it. The girl takes a photo of Mel B. and when it develops, Bob is standing behind her. Simon tells her she has to watch more Disney movies. Howie says the magic is incredible but the horror is real. Mel B thought it was magical. Heidi says it was pretty fantastic. Simon hit his X. Heidi, Mel B and Howie say Yes. Simon says Linda Blair wins America’s Got Talent 13. All of a sudden, the news paper clipping was left on the judges desk, the girl is off stage, and it goes up in flames. Zurcaroh is an amazing group who dance and perform acrobats/tumbling; none of the group are professional dancers. There are plenty of dangerous lifts and throwing this one little girl in the air over and over again. The judges love is and along with the audience give them a standing ovation. Howie says wow. Mel B. says she can’t believe how they were all in synch and on point. Heidi says it was unbelievable, their were so many kids flying in the air. Simon says there is something in the air, it was so incredible and breathtaking, he is honored to have watched them. Tyra runs down the stage and she hits the gold button, they are moving right to the live show.